These ladies put on bright bouffant skirts and arrange their long hair in neat plaits. Then they go into the ring and beat the hell out of each other! 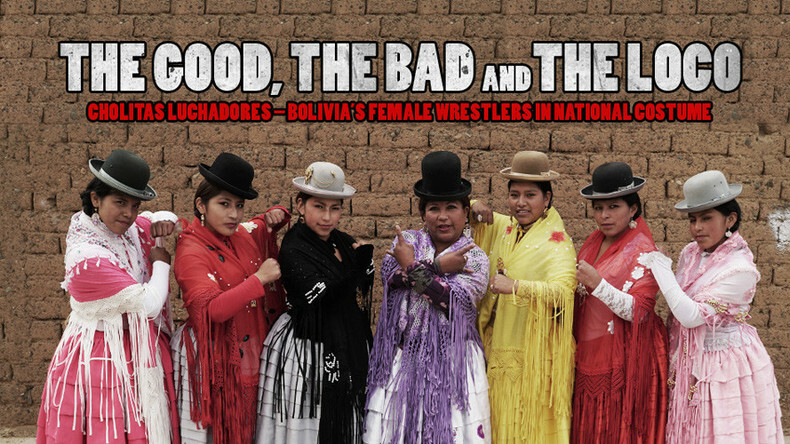 Meet the Bolivian fighting cholitas, the female wrestlers of lucha libre, a free fight that marries a choreographed show with a full-on punching match. Watch "The good, the bad and the loco" on RTD website on RT’s live feed. The time of the broadcast is available on RT’s schedule page.